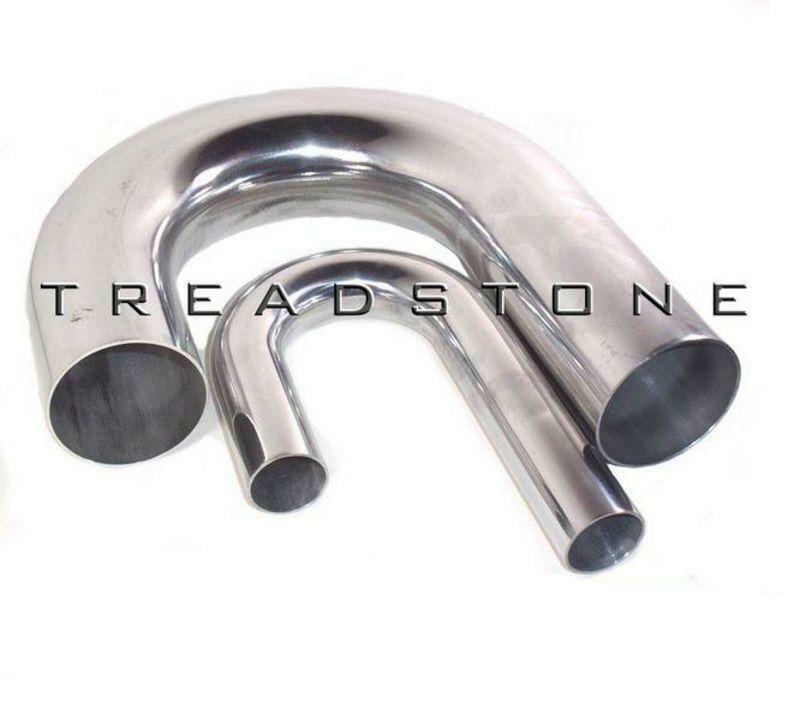 Treadstone Aluminum Piping - 180 Degree UNIVERSAL - Dezod Motorsports Inc - Home of the automotive performance enthusiast since 2002. Treadstone Performance has introduced a new line up of quality universal aluminum bends. In the past we have come across many manufactures and shops across the internet selling low grade aluminum mandrel bends, that either you can not weld because of the poor quality ore used, have a clear coat on them which makes welding terrible, are easily scratched and dented because they are so soft, or are made from recycled aluminum cans that gives almost a purple hue. These bends are crappy and we feel you should get what you pay for! Our mandrel bends are top quality T6 6061 grade aluminum. Our mandrel aluminum bends are perfect for intake, turbocharger, supercharger and intercooler pipes. These pipes will not corrode or rust like coated or painted steel pipes and are much lighter than stainless steel pipes. We have increased the wall thickness from our past product from .070” to .083”, this makes welding a lot easier! Our aluminum, when welding produces shiny contaminant free beads like a row of dimes, for a show quality welding job! All mandrel bent pipes have 3” and 6” in length and all come with polished finish. 3.5” and 4” bends have 3” legs.